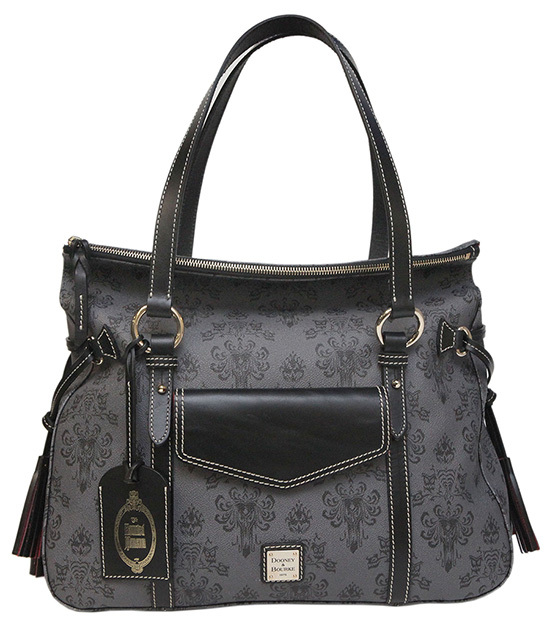 dooney & bourke – i swear to goth. Uh, so this exists. And it will be available at Disneyland Resort locations starting September 13th (which is a Friday. Can this be any more amazing?!) according to the Disney Parks Blog. I have never had any desire to own a Dooney & Bourke bag, but this creation is absolutely consuming me with desire. I need this in my life. And it’s like a sign from the happy haunts themselves making it available to purchase the week I will be at Disneyland. Meant to be, forever, even after death. Bury me with it, I say!